"We would just like to take the time to thank you for all your help in getting us ready for our 1st home. We have been here for a month now and love it so much ! It is peaceful and relaxing and just what we were looking for. We really appreciate how quick and efficient the whole process was, We will definitely refer anyone we know to you if they want to buy a home. Thank you again !!" - James, Morgan & Alexis C.
Both Selling & Buying a home. `You guys have been such a blessing to me & my family during this crazy time in our lives. I truly felt as if you were my friends who really cared about me and my well being. Thank you so much for all your patience & all the little xtras you did for us. YA'LL ARE THE BEST !" "I have closed on multiple properties in several different states during my lifetime but this was the first when everyone did their job with courteous, timely, & professionally. These three women are priceless in todays work environment." This note was sent to Kathi along with two of our preferred business partners – Gentry Tomlinson with Regions Mortgage and Merryl Boggan at Dalco Title and Closing." - Gene & Sue L.
"Eric and I can not thank you enough for the professionalism and enthusiasm you have shown throughout the process of selling our house. We felt right trusting you with our home, even after leaving the country, and you have proven that our trust was well placed. Thank you. We hope to return the kindness when you visit New Zealand. Our dream is to one day build a home of our own here, which includes a nice guest suite - so stay in touch! May the Lord bless all of you as well. Love, Linda"
"Hello, I am writing you from our lovely new property in Pangburn – our 1st family trip ! and I just wanted to tell you thank you again so much for all you did to help us make this happen. You & David were just the best – so patient with all our questions ! And we can not that you enough for the Lowes Gift card – What a nice & unexpected treat !" "Kathi is great! We love her! She was always very available and on our side as far as taking care of us. She always understood our needs"
- Todd & Heather W.
".. Thank you for helping us find our house – our home. We Love It ! Stop by anytime, we’d love to show you how it looks – lived in !" - Steve & Heidi M.
I wanted to say thank you for being so sweet. "J" & I appreciate the time you spent with us, helpinjg us find a home in such a short period of time. Thank you for taking time out of your schedule to show our out of town family the house over Christmas. You are a very special person. We appreciate all you have done." - Jay & Michelle T.
"Kathi has been very helpful with this process, giving us ideas of what we could do with the house to help it sell." - J.D. and Meg E.
"Kathi met with us whenever our schedules allowed us to come into Searcy, and she gladly showed us all that Searcy has to offer." 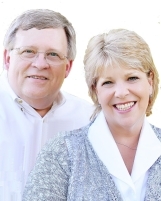 - Larry and Cathy P.
"We appreciate all that you both have done for us. You are very awesome !! Thanks again. !" - Mike & Gwen C.
"We would recommend Kathy Merritt to anyone." - Mike & Mary P.